Those readers familiar with off-road riding will be aware of the range of activities which fall into the category of mountain biking: trail riding, trials (very different!) quad descending, downhilling, cross country, North shore, all mountain, freeride, dirt jumping and even quasi acrobatics (aka “urban assault”) as reported in our own Cycle Clips newsletter. If you missed that report and have never seen Danny Macaskill, you might like to watch this: http://www.youtube.com/watch?v=UbJ1sseQVbY. While we could never match the skills of a Danny Macaskill, riders I have met and spoken to over the year have demonstrated a variety of goals and interests. 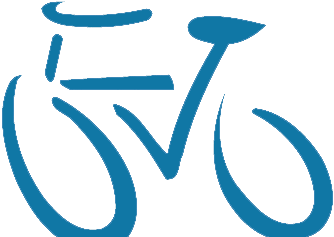 Answers to the question “why do you ride your bike?” will elicit wide-ranging responses. And indeed, explain the different bikes we choose to buy and ride. Unlike the racing clubs, we are a broad church. Compare the homogeneity of the bikes assembled outside Zappis on a Saturday morning, with the diversity of those gathered in Broad Street on a Sunday morning. Here you will find Galaxy tourers cheek by jowl with town bikes and even the odd carbon sportive bike. But nearly everyone seems to agree that physical well-being is part of what makes them want to keep riding. Until recently, sports science has been of interest mainly to racing cyclists. But with the popularity of sportives and the phenomenal success of British cyclists, both on road and track, more and more articles have been appearing in magazines such as Cycling Plus and Cycling Weekly with titles such as “Fitter, Healthier, Younger. What cycling can do for you?” When I was a young man in my 20s, interval training was already well established among club runners. What is different today is that recent research has shown that this technique is not only suited to an elite athlete but can also benefit a CTC rider. The findings of a team from the University of Edinburgh was even reported on Radio 4 national news last year. Their study (published in the European Journal of Applied Physiology) inspired by previous similar studies, concluded that 2 “all-out sprints” for as little as 20 seconds each, performed just 3 times a week has a huge, measurable and beneficial effect. BBC news (http://www.bbc.co.uk/news/health-17177251) summarised the research and Horizon did a programme last January entitled The Truth about Exercise. The Tabata Protocol is also well known in racing circles. It takes just 4 minutes and consists of 20 seconds of all-out exercise followed by 10 seconds rest, repeated 8 times. Although all this is now accepted in sports science, GPs may advise differently. I was recently advised not to exceed 80% of my maximum heart rate. Not because of any medical problem, but simply because my doctor believed that intense physical effort was intrinsically harmful. The lessons from evolutionary biology seem to indicate otherwise. We have adapted over tens of thousands of years to use maximum effort both to catch food and to avoid being predated upon. The Truth (to use that over-worked term from the Horizon programme) is that it is precisely the opposite which is harmful: our sedentary and desk-bound lives. It goes without saying that leaping up from your desk after years of inactivity and sprinting to catch the bus is not a good idea. But even here, you will almost certainly tear a hamstring muscle long before you do any damage to your heart. On our CTC social rides, although we ride at the pace of the slowest and never leave anyone behind, it is acceptable to climb a hill as fast as you like. What is interesting is that some riders seem to relish climbing as fast as they can (despite the discomfort), while others, equally strong, prefer to climb at an easy pace. Each to his own, of course, but the fact remains that our body (including both aerobic and anaerobic fitness) responds to the demands we make of it. Our body is many times more efficient than any machine we can make – or even imagine. If a capability is not needed, the body will relinquish it (the rapid onset of muscle wastage when bed-ridden is a case in point). It is the corollary of this principle which is of interest to us: as well as being efficient, the body is also adaptive. If you cycle hard (with appropriate rest periods), you will get stronger – up to the limit of your potential. I was interested to hear of the training regime of one of my cycling friends, an ex-800 metre club runner. He would start by running half the distance at a faster speed. When he was comfortable with that, he would retain the higher speed but increase the distance gradually until he was able to run the whole 800 metres at the faster pace. Heaven forbid that CTC cycle tourists should morph into MAMILS, but why not use the knowledge accumulated by sports scientists to improve our fitness?